One man’s trash is another man’s treasure, and this weekend is the perfect time to find your next treasure. 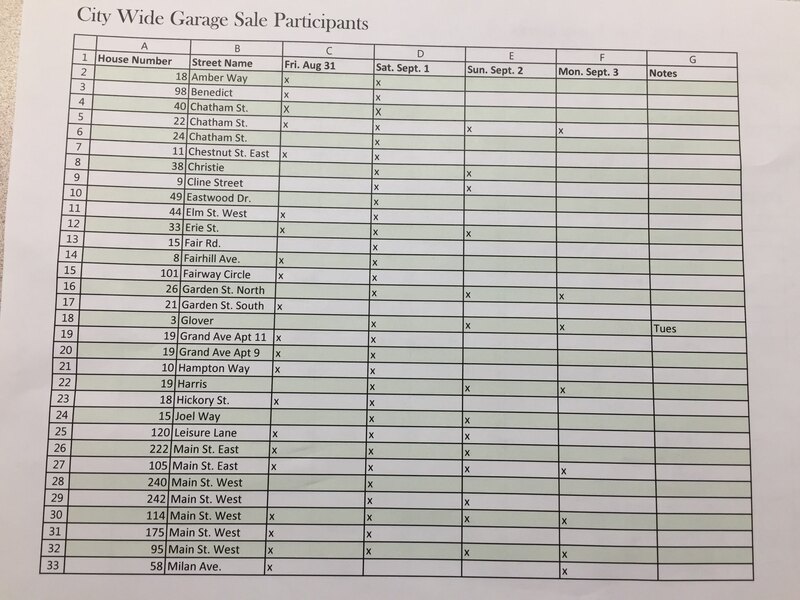 Norwalk will hold its third annual city-wide garage sale this holiday weekend. More than 60 locations throughout the city, plus the Applewood Grove community, will have various items set out. At least 12 of those sales are listed in the Reflector’s classified ads section. The sales begin Friday and run through Monday. 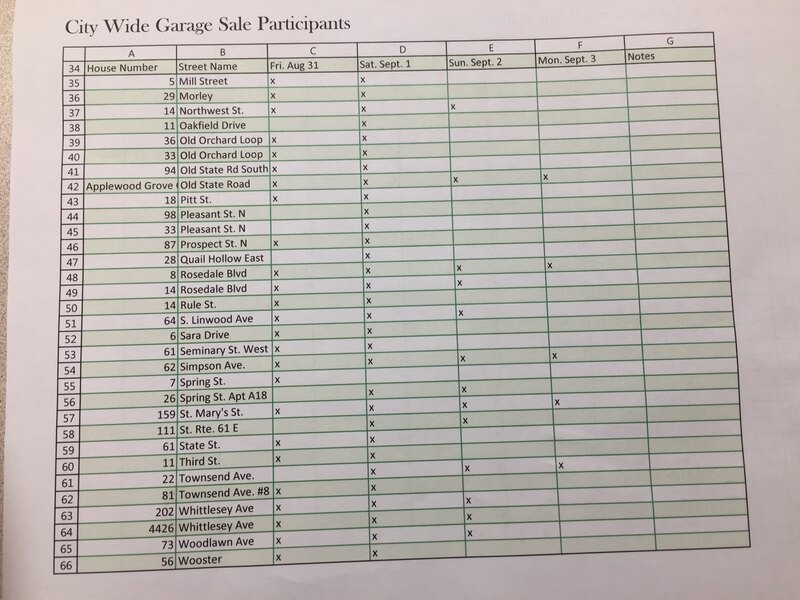 While no garage sale permits are necessary to participate in the sale, residents are encouraged to register their sale at Norwalk City Hall, 38 Whittlesey Ave., today. A list of registered participants are available to the public for pick up on Tuesday at the City Hall. The full list of the 63 locations can be viewed in two pages — here and here.